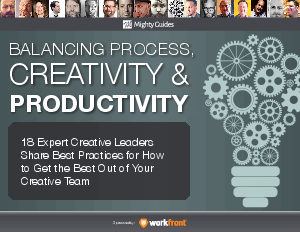 Creative experts share their secrets to balancing process, creativity & productivity. Your creative team likely receives large numbers of work requests that lead to an incredibly packed workload. Without the right structures in place, the chaos can easily take over any creative team, leading to missed deadlines, long hours, frustrated clients, and compromised quality. Start using your creative time to work on what is most important.